PawnGuru is a startup that has come up with an alternative way to grant the unbanked financial access, by using the pawn industry as an additional option to get cash. The developers of PawnGuru have brought this US$15 billion transaction industry online making the buying, selling and pawning of used goods more available for customers and pawn shops alike. Based in Detroit, PawnGuru allows current and new customers access to America’s leading and local pawn shops via an online platform. The platform allows consumers to receive offers for items they want to sell or pawn from pawn shops in their local area via email or text, and make sure they get the best prices. 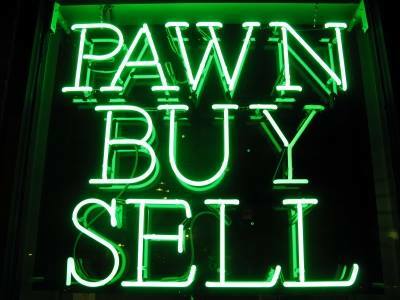 In turn, pawn shops now have the ability to gain easy access to an entirely new customer base. When taking out a loan isn’t an option, PawnGuru can suggest what items are selling well, and where you can go to sell them, allowing the unbanked access to liquid cash. The startup has already provided a financial lifeline to its 500,000 users. PawnGuru’s major marketing event launches tomorrow, Friday October 27: ‘Pawn Friday’, the first pawn shop sales event, offering high-quality goods such as Rolex’s and Xbox’s, at a discount. The event will provide access to over 1000 pawn shops in the country partnered with PawnGuru through their www.pawnguru.com/pawnfriday page. “Pawn Friday will be an awesome shopping event for consumers looking for great deals, but its purpose is much larger than that,” says co-founder Jordan Birnholtz in a press release. “Pawn shops provide a critical financial lifeline to underbanked consumers. There’s no need for people to be forced into a never-ending spiral of debt through payday loans and the like when other life-saving financial options, like pawn shops, exist,” said Jordan Birnholtz, one of PawnGuru’s founders. The event will not only kick off the holiday season, with the best deals, but also shine the spotlight on how the pawn industry can directly help this large group of society with little, or no, access to traditional banking services.